I decided to give these a try since I’m a lover of all things fried. 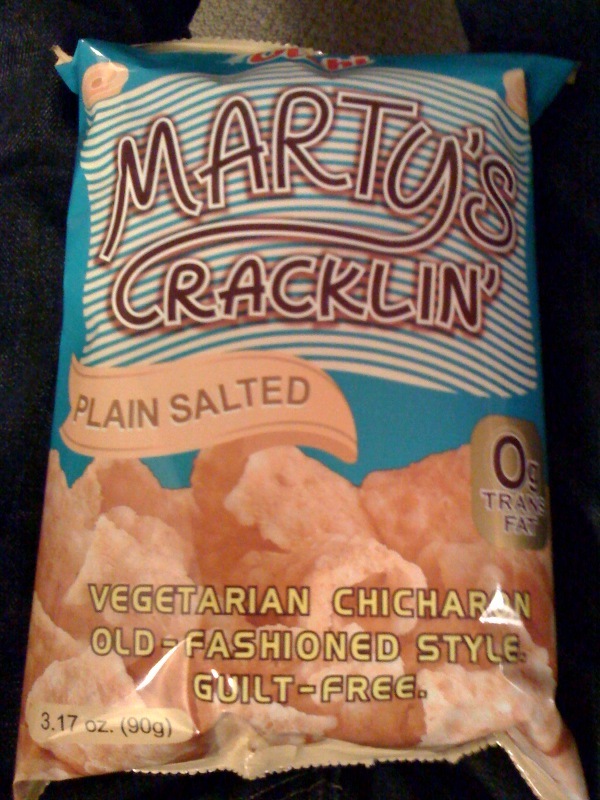 These tasted a lot like the Veggie straws that you can get at Costco, and nothing like Pig Skin/Fat. I admit, I was a bit sad. I should have known since they said “Guilt Free” so large on the packaging. However, S thoroughly enjoyed them.